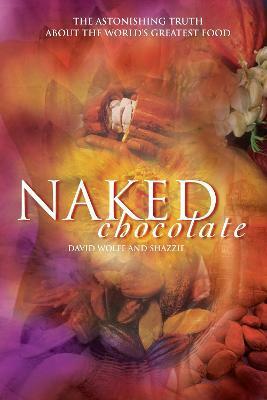 With the mission to “lay naked before the world the true meaning of chocolate,” David Wolfe and Shazzie present a spirited and unconventional history, materia medica, and recipe book for the world’s most pleasurable food: chocolate. This book describes the wonders of cacao-where it comes from, how it is processed, its three varieties, and its origins and role in pre-Columbian cultures of the Americas. It explains the scientific properties and health benefits of chocolate, and elaborates how you will lose weight, soothe your heart, double your joy, increase your sensuality, nourish your intellect, and attract prosperity by eating it!In contrast to most books about chocolate, this one focuses on the raw cacao bean, or “naked” chocolate. Of course, this chocolate manual wouldn’t be complete without a step-by-step guide on what to do with the cacao beans, and over sixty original and mouthwatering chocolate recipes guaranteed to enhance your life.